Terror and suspense abound in this 24-hour nightmare of blood. Camp Crystal Lake has been been shuttered for over 20 years due to several vicious and unsolved murders. The camp's new owner and several young counselors are readying the property for re-opening despite warnings of a "death curse" by local residents. The curse proves true on Friday the 13th as one by one each of the counselors is stalked by a violent killer.This film is widely acclaimed for its horrifying and creative murder sequences. 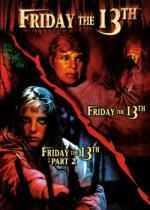 What with today being Friday the 13th... how could I not watch some of these films? This is, of course, the one that started it all. Definitely a classic when it comes to horror. I feel it is a good movie... definitely worth watching... but I have seen better. I really liked the character of Alice in this one. For some reason I keep forgetting there is a young Kevin Bacon in this movie until I watch it again. Though I must say... really liked his death scene. This film definitely has some nostalgia value for me. It is hard to believe I was only 11 years old when this one was made. Where has the years gone? Of course with this film being so old, the special effects can be done more realistically today... but there is something about the way they were done back then that I really like. Doing such things with make-up effects instead of CGI, in my opinion, has a better feel to it. Sometimes the old fashion way is still the better way to go. There is some interesting kills in this film... though I do think some of the more creative kills comes later in the franchise. This disc is part of the set: Friday the 13th: From Crystal Lake to Manhattan which contains the first 8 films from the franchise. This set seems to be out of print now... but you can get used copies from Amazon Marketplace for as low as $14.90 or new copies starting at $88.99 at this time. This set also comes with a bonus disc with special features for all the films included. This is a nice set... though I haven't been keeping up with the newer releases to know if there is anything better out there for the franchise. The second movie in the series is a good one. This one Jason doesn't have his infamous hockey mask yet. Instead it is a burlap sack. I enjoyed this one just as much as the first... if not a hair better. Once again... some good kill effects here. I especially liked how the guy in the wheelchair was taken out. I also liked how this one ended. Definitely worth the time put in to watch it. Bella Swan (Kristen Stewart) doesn’t expect much when she moves to the small town of Forks, Washington, until she meets the mysterious and handsome Edward Cullen (Robert Pattinson)—a boy who’s hiding a dark secret: he’s a vampire. As their worlds and hearts collide, Edward must battle the bloodlust raging inside him as well as a coterie of undead that would make Bella their prey. 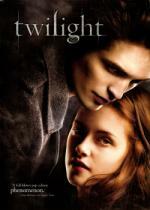 Based on the #1 New York Times best-selling sensation by Stephenie Meyer, Twilight adds a dangerous twist to the classic story of star-crossed lovers. This is a film that was given to me back when it originally came out... was a birthday present. I have watched it before.... but didn't think much of it. Since part 2 was recently given to me I decided to give this one another chance and remind myself of what happened before watching part 2. After watching it this time I will say it is a watchable film. Really nothing more then average. I can accept the whole teen-angst thing... I can also handle the whole romance thing. But being the huge vampire fan... I can't handle is their take on the vampire lore. While I can appreciate that there is a lot of versions of the vampire myth... this one more then stretches it to it's limits. There is certain aspects of vampires that shouldn't be messed with. I have mixed feelings on the whole baseball game during the thunderstorm... part of me found it to be entertaining... but another part of me just found it to be silly. At least the end of the baseball game brought in a little of a horror aspect into the film. This storyline is what really kept my interest. Makes the film bearable for me. You should have watched Casablanca instead. The reason I watched it was because I was recently given part 2... and wanted to refresh my memory before watching it. Now after this one I am not in the mood for part 2 anymore. I will probably force myself through it anyway. The reason I watched it was because I was recently given part 2... and wanted to refresh my memory before watching it. In the second chapter of Stephanie Meyer's best-selling Twilight series, the romance between mortal Bella Swan (Kristen Stewart) and vampire Edward Cullen (Robert Pattinson) grows more intense as ancient secrets threaten to destroy them. When Edward leaves in an effort to keep Bella safe, she tests fate in increasingly reckless ways in order to glimpse her love once more. But when she's saved from the brink by her friend, Jacob Black (Taylor Loutner), Bella will uncover mysteries of the supernatural world that will put her in more peril than ever before. OK... even though I really wasn't in the mood to watch this one today... I promised the person that gave it to me a review.... so decided to go ahead and get it done. I originally thought I never seen this film before... but too many parts seemed really familiar to me. So I am thinking I must have caught it before at some point... just forgot it. This one focuses more on the werewolves then the vampires for the first half of the movie... creating a love triangle for Bella. I tell you one thing.. watching this one movie... I seen enough shirtless guys to last a lifetime... had to wonder if some of those guys even owned a shirt. I say turnabout is fair play... how about one with almost constant shirtless girls! LOL. I must say... and I am not surprised... but I didn't care too much for this one either. I actually prefer the first one to this one. But that could be because I like vampires so much. I found myself struggling to finish this one. Though it did have some decent scenes. I do like the continuation of the bad vampires still after Bella. And of course I did like the vampires vs. Werewolves scenes. Just wish there was more of them. Despite allegations of sexual abuse against her ex-husband, Jody (Faith Ford) has lost a custody battle for Samantha (Hanna Hall) and faces a choice of turning her daughter over to him, or taking flight and risking kidnapping charges. Pursued by both the FBI and a private detective, Jody and Samantha become hunted animals, fleeing from town to town with the help of an Underground Railroad set up to help women and children escape from abuse. This is a TV Movie that originally aired on Lifetime. It is a true story. I found it to be a very interesting story... and a powerful drama. The storyline easily kept my interest through-out the entire film. I felt the ending was a real bummer. But when it comes to true stories you can't always have a happy ending. This film stars Faith Ford... who I am familiar with from the series Hope & Faith (where she actually played Hope instead of Faith). Another familiar face was Nigel Bennett who played LaCroix on Forever Knight. I feel comfortable recommending this one to anyone that likes a good drama/true story. But keep in mind it is a TV movie and I know some don't care for those. Katherine Heigl and Gerard Butler star in this wildly funny battle of the sexes from director Robert Luketic (Legally Blonde). Abby (Heigl), a successful morning show producer, is looking for a lot in a man. Mike (Butler), her obnoxious TV star, knows men only want one thing. Determined to prove that she's not romantically challenged, Abby takes Mike's advice during a promising new romance, but the unexpected results will stun everyone. This is actually my third time watching this film. I first seen this one on On-Demand. I enjoyed it so much that when I saw it available at the library I borrowed it. Now I am watching my own copy that I got through a trade recently. Not surprising that I enjoy this one as much as I do... as I been a fan of Katherine Heigl for some time now. Every since first seeing her on the series Roswell. This one is a little more raunchy compared to most romantic comedies I have seen. But it is a lot of fun to watch. Has several laughs in it. Worth the time put in to watch it. Beneath Jim Marshall's (John Terry) veneer as the all-American father and husband lies a long suppressed desire that is about to ruin his idyllic family. When Elaine Marshall (Jean Smart) catches her husband and his lover in a hotel room, her anger quickly turns to shock as she discovers that Jim's paramour is a young man. What ensues is painful soul-searching for Jim, Elaine, and their family. This is the final move out of the 3 movie set I had to watch. Unfortunately it is also my least favorite out of the three. Not that it was a bad movie. I did still enjoy it. Just that I liked the other two a little more. But this one is still worth the time put in to watch it. Another TV movie (all in this set are)... so keep that in mind if you don't normally like TV Movies. There was no cast members in this one that I was all that familiar with. So that could be part of the reason I didn't enjoy it quite as much as the others in this set. Having familiar faces from series I watch has always been a plus for me with TV Movies. Of the three movies in this set I liked from favorite to least favorite... The Truth About Jane (Favorite)... Her Desperate Choice...and then Change of Heart (Least Favorite). I saw most of The Ugly Truth on tv like a month or 2 ago. I couldn't stand it. I didn't like either of the characters...they were both jerks. I don't like Heigel that much either...there is just something about her that irritates me. Jerod Mixon as Shonté Jr.
Jim Carrey delivers a hysterical performance in this "fall-down, flat-out, irresistibly deranged movie" (Rolling Stone). Rhode Island state trooper Charlie Baileygates (Jim Carrey) proves that nice guys finish first after marrying the prettiest gal in town. 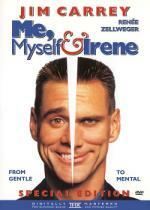 But when she leaves him for another man, Charlie develops a split personality and his outrageous opposite, Hank, is born! Hank's got a filthy mouth, a bad attitude and a short fuse. When Charlie falls crazy in love with the beautiful but wanted Irene, he must wage war — with himself — for the confused Irene's affections. I know that there isn't a lot of people that agree with me... but I always liked Jim Carrey. But in the case of this movie... he didn't impress me all that much. Sure it had it's moments... there was a scene or two where I found myself laughing... but for the most part I just found myself waiting for it to be over. This isn't one that you should go out of your way to find. On Valentine's Day, 1944, Navy Lt. Neil Thomas bids Caroline, his pregnant young wife, farewell from Union Station for service in WWII. Before their sone is born, Neil's fighter plane goes down in the Pacific and he's declared missing in action. Caroline is devastated. But love never dies, and for the next 65 years Caroline (Betty White) returns to Union Station on the anniversary of her husband's departure to salute his memory. When local TV report Susan Allison (Jennifer Love Hewitt) receives an assignment to cover the love story, she's introduced to Neil and Caroline's grandson. The two are quickly attracted to one another and start to work on the story. Lucas encourages his initially reluctant grandmother to cooperate, while Susan uses her resources to investigate Neil's disappearance. Together the young couple uncovers two love stories - one that has stood the test of time and a new one just beginning. This is a TV Movie that I borrowed from the library. 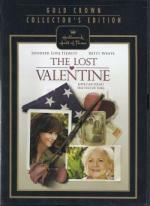 I got this one mainly because I am such a big fan of Jennifer Love Hewitt... and the fact that Betty White is in this as well is just a bonus for me. I have liked her in most everything I have seen her in. I wasn't sure what I would think of her in this one as it isn't a comedy... and comedy is what Betty White is known for. But I found she is very capable of pulling off drama as well. This really is a sweet story. It gives closure to one love story at the same time of starting another. It is a good watch...would like to add it to my collection at some point. Being a big fan of the original film I was curious about this remake. While I found it to be pretty good... I much prefer the original. While this one had some cool looking visuals it lacked the charm of the original. And I found I really didn't care about the characters in this version as I did the other. But this one has it's moments. So I am not sorry I watched it... can even see it making it into my collection at some point. But I won't be in any hurry to do so.